25 years ago, the City of Gallipolis opened the public pool. 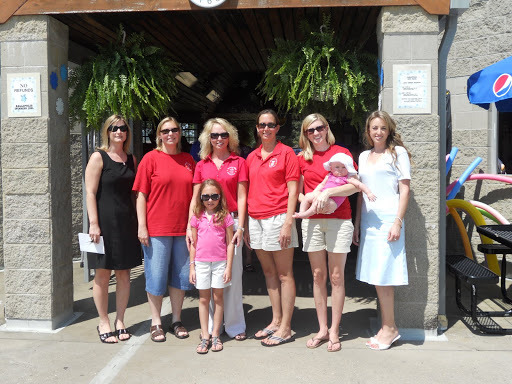 Gallipolis Junior Women’s Club is the reason the pool was put on the ballet for voting for a 3 year levy. I learned today at the rededicating ceremony that it only passed by 47 votes. And that we are the only city to have had a rededicating ceremony since it’s being build, so said the contractor. When I walked in the door of the City Pool I was stopped by a past GJWC President from 1983 and asked if I would like to cut the ribbon for the rededicating. TALK ABOUT AN HONOR! 25 years ago I was driving my little brother to the pool and today my baby girl helped me cut the ribbon. She thanked and thanked me for letting her help. Little does she know I had tears behind my sunglasses from being thankful to have her hold my hands as we cut the ribbon. Tonight we celebrate with a pool party with our GJWC family & friends!